One of two reports examining the decommissioning San Onofre Nuclear Generating Station (SONGS) published by the Samuel Lawrence Foundation examined damage caused to the steel canisters as they are lowered into dry storage vaults and how sea-level rise could lead to water getting into the vaults. The reports estimated that a major release of radiation from the site could cost Southern California as much as $13.4 trillion over a 50-year period and endanger millions of residents who live near the San Onofre site, located on the coastline between Oceanside and San Clemente. The nonprofit organization used economic impact modeling software to estimate economic losses from diminished activities that would stem from a potential radiation-spreading incident within evacuation zones of one, 10 or 50 miles over one to 50 years. Southern California Edison and SONGS released a response to the reports, calling the $13.4 trillion figure “misleading” and stressing that there is “zero possibility” of a radiological catastrophe that would affect anything outside of the plant’s boundaries. The Samuel Lawrence Foundation reports frequently refer to the 2011 Fukushima Daiichi nuclear disaster in Japan, suggesting a similar incident could happen with San Onofre. The big difference between the two, according to SONGS officials, is that Fukushima was operating at the time of that accident while San Onofre is no longer an operating reactor site. SONGS closed in 2012 after continuous leaks were discovered in the plant’s steam generator tubes. Dricks explained that when a nuclear plant shuts down permanently, the owner lays out a case for why the Nuclear Regulatory Commission’s emergency preparedness requirements, including the 10- and 50-mile zones, should no longer apply. 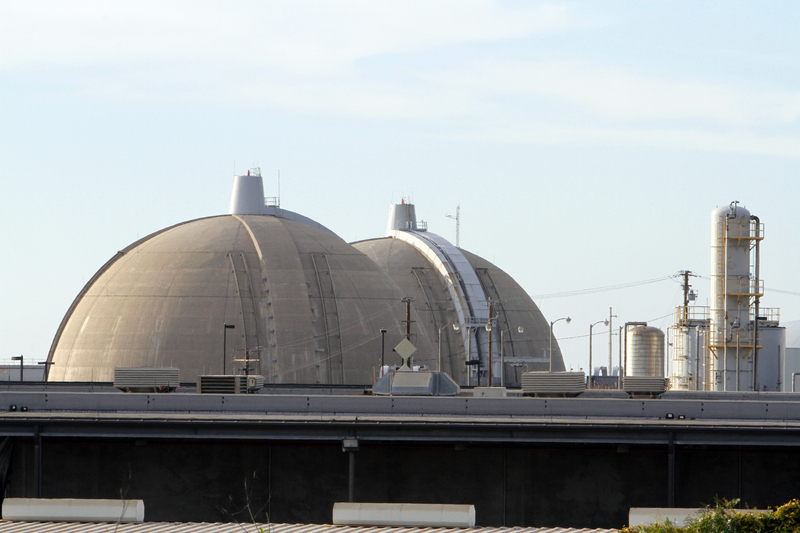 Southern California Edison did this in March 2014, and commission staff reviewed its request and asked for permission to exempt San Onofre from those requirements. Nuclear Regulatory Commission approved the exemptions in March 2015. For the last several months, downloading of the canisters into the dry storage vault has been stopped after an incident on Aug. 3, 2018, when a full canister containing spent fuel became stuck 18 feet in the air during the downloading process. Investigations revealed the operators and managers could not see the canister as it was being lowered and became stuck. According to the Samuel Lawrence Foundation research, had the canister fallen it could have hit the facility floor with “explosive energy greater than that of several large sticks of dynamite” and could have caused a large radiation release and ruined the facility’s cooling system. If the cooling system had been blocked, according to the report, great quantities of water would be needed to cool the reaction and prevent or control a meltdown. Because the fuel is always losing heat, there’s now even more time to get water into the pool if something happens, according to Dricks. “Fuel that’s been loaded in casks has cooled off to the point that simple air flow past the walls of a cask is enough to safely remove the residual heat, so that fuel would remain safe for an extended period even if a cask was somehow damaged to the point of restricting air flow,” Dricks said. Fukushima’s fuel was extremely hot and couldn’t be cooled, according to the SONGS response, unlike the spent fuel at San Onofre. Tom Palmisano, SONGS vice president of external engagement, said the canister would have posed “no risk” to workers or the public had it fallen because of the canisters’ durability. “It’s designed to be capable of dropping 25 feet and not breaching,” he said. The Samuel Lawrence Foundation report questions the durability of the canisters by using documentation for completely different canisters, according to the SONGS response. SONGS uses a Holtec UMAX system with MPC-37 casks, according to the response, noting that the reports cite a safety analysis report for the Hi-Storm 100 Cask System. The SONGS response also questions the Samuel Lawrence Foundation reports’ usage of the word “gouge” to describe scratches that develop along the outside of the canister as it connects with a shield ring during its downloading. According to an analysis from Southern California Edison, the Samuel Lawrence Foundation report errs in assuming that the full weight of the canister can be applied laterally to scratch the canister — only 2 percent of the weight can be applied. The same report also discusses sea level rise as a possible issue, but the SONGS response points out that Southern California Edison took sea level rise into consideration as well. The response also notes that Southern California Edison would still have time to relocate the storage facility even under the “extremely pessimistic projections” for sea level rise that Samuel Lawrence Foundation uses in its report. As previously stated, downloading of any more canisters of spent fuel have stopped since the Aug. 3 incident. The Nuclear Regulatory Commission launched an investigation into the incident and found two apparent violations during an inspection between Sept. 10 and Sept. 14, 2018, which were the failure to ensure “important-to-safety” equipment was available to provide more drop protection and to make a timely notification to the Nuclear Regulatory Commission about the Aug. 3 incident. Palmisano said that even though there was no risk to the workers or public had the canister dropped, that fact alone wasn’t good enough to allow downloading operations to continue as they were. He said Southern California Edison has implemented improved procedures, training and technology to use when downloading the canisters. 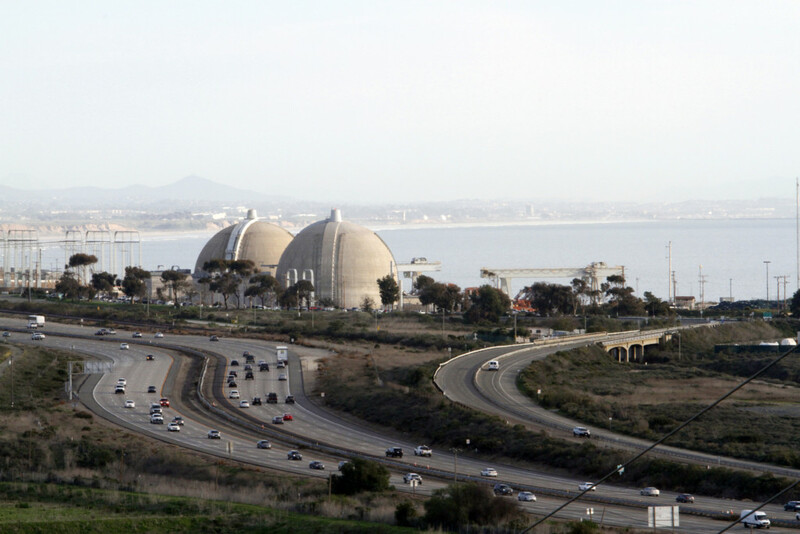 Dricks confirmed that the downloading operations remains on hold until Southern California Edison has demonstrated that fuel transfer could continue using its improved procedures, training and technology. The Nuclear Regulatory Commission will need to inspect the changes before it can be determined if SONGS is ready to start transferring spent fuel into dry storage again, which Palmisano is expecting to happen in the next several weeks. Southern California Edison and SONGS are not the only ones who think the Samuel Lawrence Foundation reports are full of false and misleading information. James Conca, a world-leading expert in nuclear waste who resides in Washington state, said the reports got “pretty much everything” wrong. Conca explained that spent fuel is taken out of a nuclear reactor after six years and put into a pool of water before it’s put into dry storage. By the time it’s in dry storage, the spent fuel “has the solubility of rock,” and is virtually impossible to spread. “There’s no geological mechanism to spread spent fuel anywhere,” he said. David Victor, chairman of the Community Engagement Panel on the decommissioning of SONGS, an independent group from Southern California Edison and SONGS, said both reports were “fundamentally wrong” and that Samuel Lawrence Foundation displayed a “reckless disregard for reality” by pushing the reports out to the public. Victor said the economic analysis team that examined the potential economic effects detailed in one Samuel Lawrence Foundation report were asked to assume what would happen if an event like Chernobyl or Fukushima were to happen at San Onofre in their analyses, and did so without asking if that assumption was even possible. “That completely invalidates the study in my view,” he said. Conca and Victor said reports like the two from the Samuel Lawrence Foundation create “fear-mongering” that ends up delaying moving spent fuel out of California and into facilities in New Mexico or West Texas. Advocates of nuclear energy say there is no danger with the spent fuel. Those who oppose nuclear energy say there is much to be concerned about. 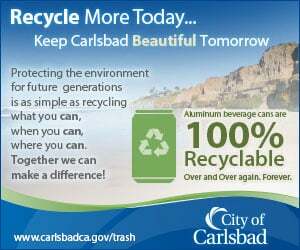 As long as the canisters stay undisturbed there is no immediate concern. What if an earthquake or god forbid an explosion were to occur. Would the canisters be immune to damage? Would the “rock like” material within be subject to radiation output. Why would it be necessary to put it in a canister if it would be “virtually impossible to spread”. I am not sure I want to take a nuclear advocates word on that scenario. The NRC approved Holtec technical specifications state if the Holtec canister (MPC-37) drops more than 11 inches (yes, inches), it must be opened to inspect for fuel assembly or other internal damage. This is if it drops while in a thick transfer cask. The condition of a bare canister filled with highly radioactive waste was not even analyzed. They admit they ASSUMED incorrectly it could never happen. The NRC and the NRC avoid talking about what would happen once the fuel waste inside becomes damaged. They don’t want to mention the NRC admitted there can be through wall cracks 16 years after cracks start. They don’t want to admit the U.S. Nuclear Waste Technical Review Board’s recommendations that canisters need pressure monitors and pressure relief valves to prevent hydrogen gas explosions in the canisters, yet the NRC ignores ASME pressure vessel requirements and approves these pressure vessels without these critical safety features. They ignore evidence from over 4400 commercial fuel rods showing damage (oxide and hydride buildup) from moderate and high burnup fuel rods that cause the rods to become thinner and brittle and where the hydrides (zirconium hydrides) can ignite at 270 degrees Celsius in gas or fine particle form. They don’t mention EACH canister holds roughly the amount of Cesium-137 and other radionuclides that were released from the 1986 Chernobyl nuclear disaster. Instead, both the NRC and SCE refuse to share radiation levels from the outlet air vents of the aging older Areva NUHOMS canisters. some already 15 years old. This is where levels will be highest from leaking canisters. What are they hiding? Is their real plan to hide radiation leaks and hope and pray none of these canisters will explode before this problem is dumped on the federal government? Go to SanOnofreSafety.org for more information. These thin-wall canisters (only 5/8″ thick), must be replaced with proven thick-wall transportable storage casks (10″ to 19.75″ thick), used throughout most of the world. These are designed to be maintained and monitored to prevent radioactive leaks and explosions. 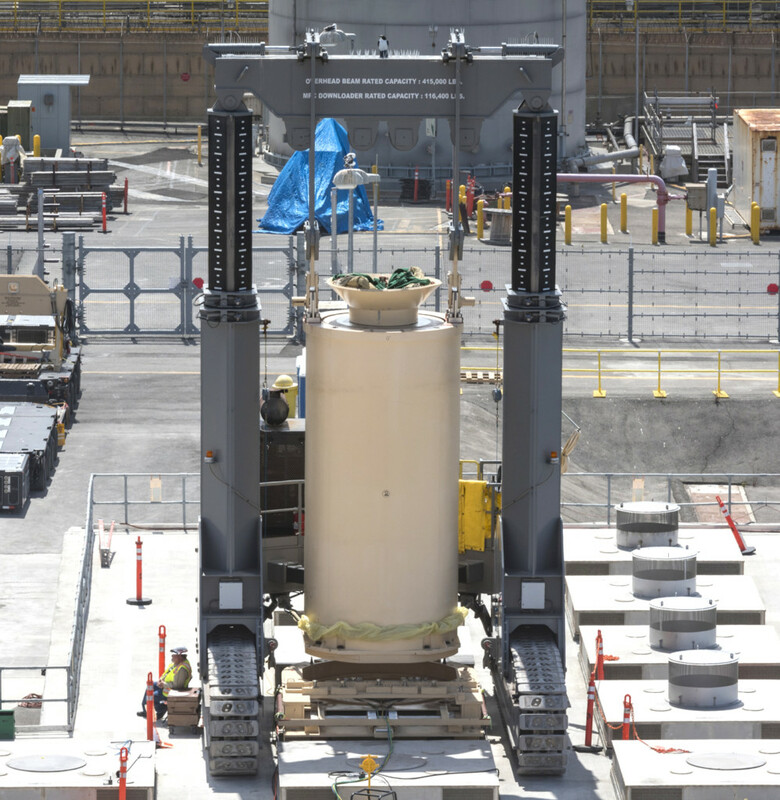 Instead SCE chose and the NRC allows these thin-wall canisters that cannot be inspected (inside or out), repaired, maintained or monitored to prevent leaks or explosions. No one would buy a car that didn’t meet these basic critical safety requirements.